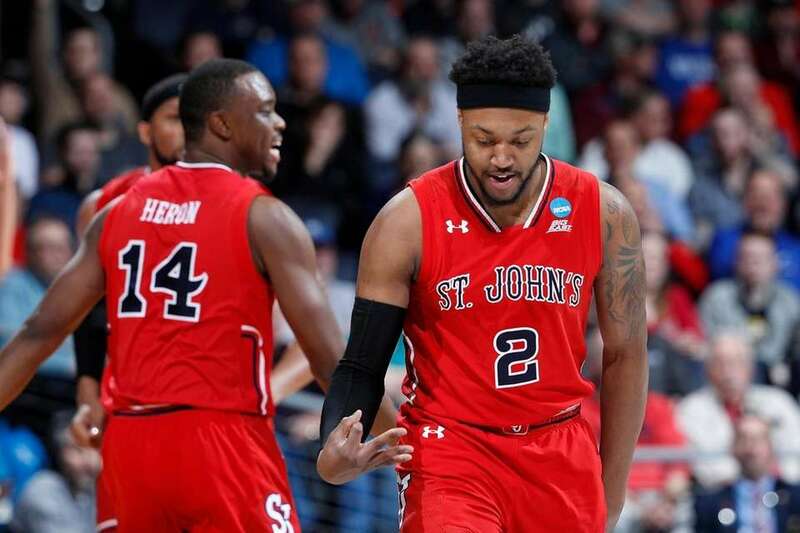 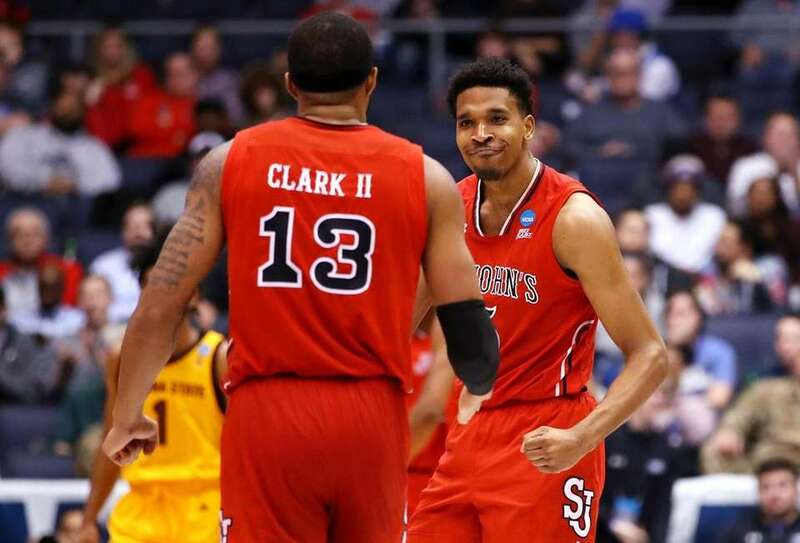 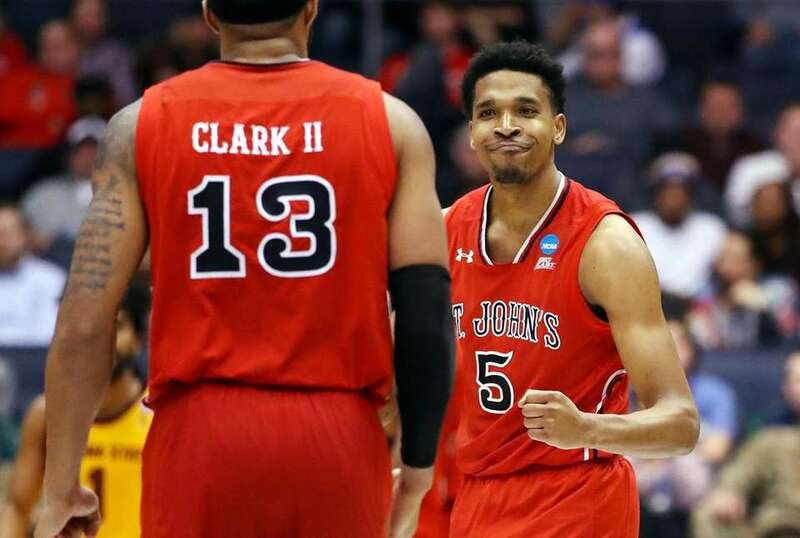 St. John's was defeated by Arizona State, 74-65, in a matchup of No. 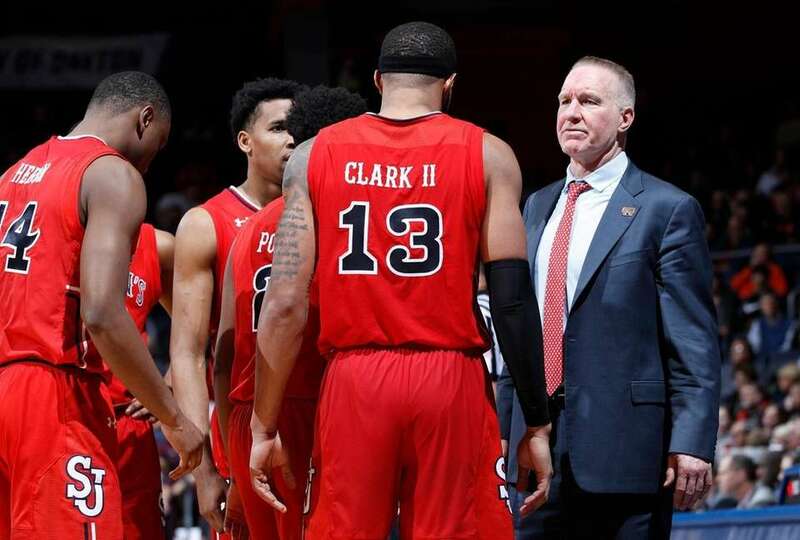 11 seeds in the First Four of the 2019 NCAA men's basketball tournament on Wednesday in Dayton, Ohio. 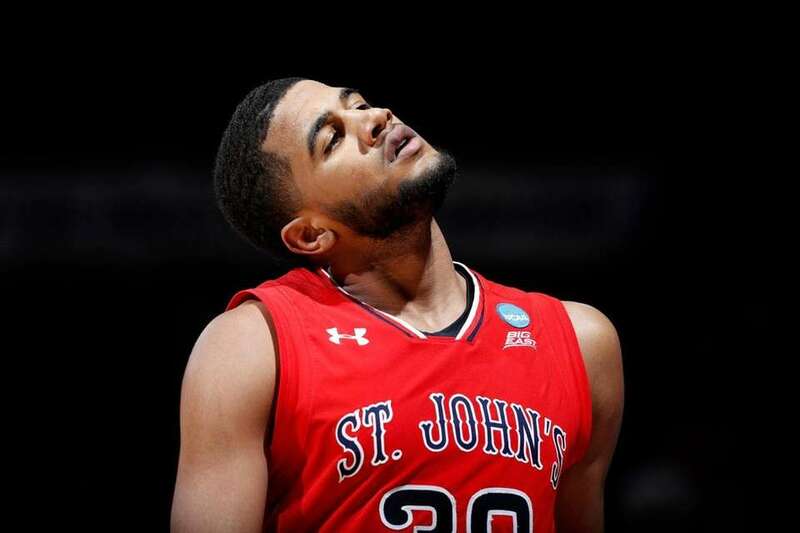 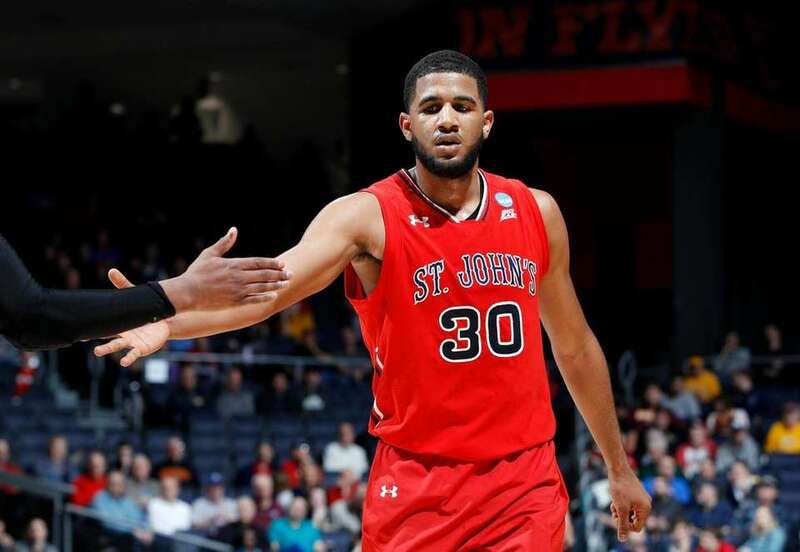 LJ Figueroa #30 of the St. John's Red Storm reacts during the second half against the Arizona State Sun Devils in the First Four of the 2019 NCAA Men's Basketball Tournament at UD Arena on March 20, 2019 in Dayton, Ohio. 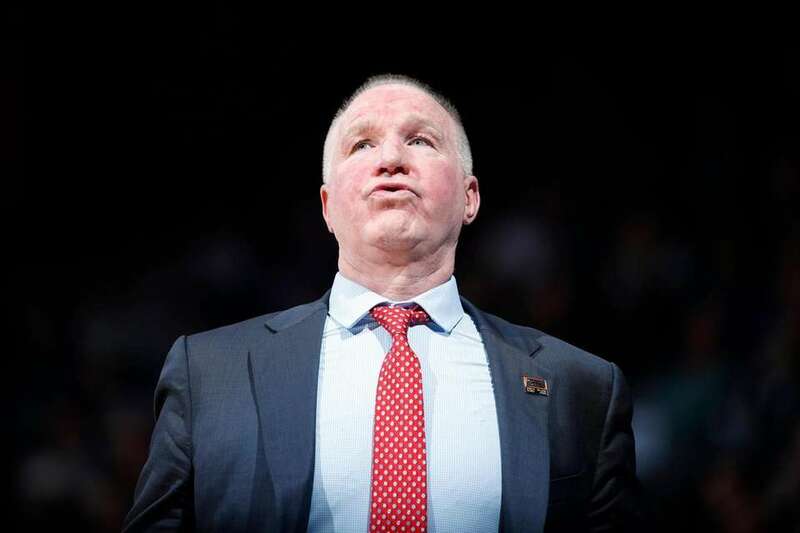 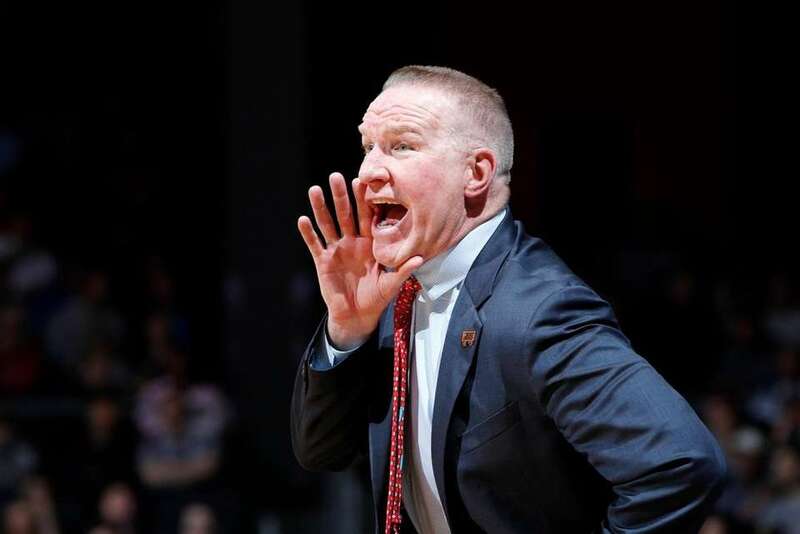 Head coach Chris Mullin of the St. John's Red Storm reacts during the first half against the Arizona State Sun Devils in the First Four of the 2019 NCAA Men's Basketball Tournament at UD Arena on March 20, 2019 in Dayton, Ohio. 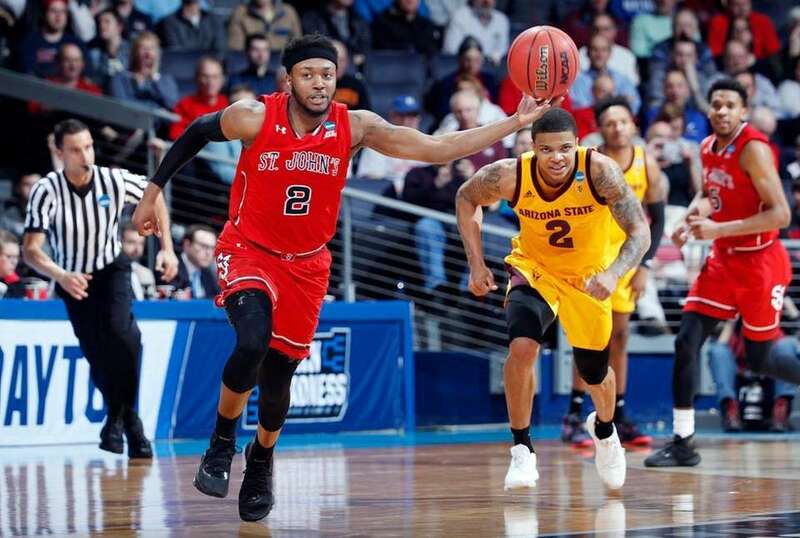 Justin Simon #5 of the St. John's Red Storm drives to the basket against Romello White #23 of the Arizona State Sun Devils during the first half in the First Four of the 2019 NCAA Men's Basketball Tournament at UD Arena on March 20, 2019 in Dayton, Ohio. 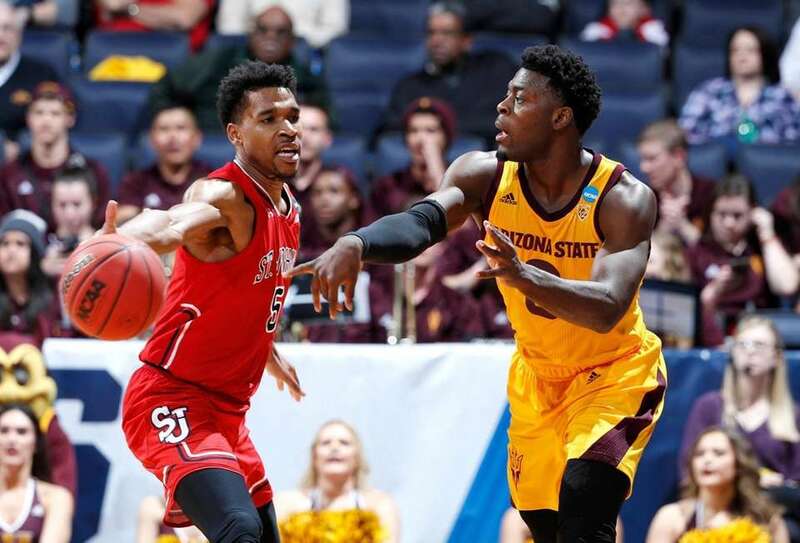 Marvin Clark II #13 of the St. John's Red Storm battles for the ball with Luguentz Dort #0 of the Arizona State Sun Devils during the first half in the First Four of the 2019 NCAA Men's Basketball Tournament at UD Arena on March 20, 2019 in Dayton, Ohio. 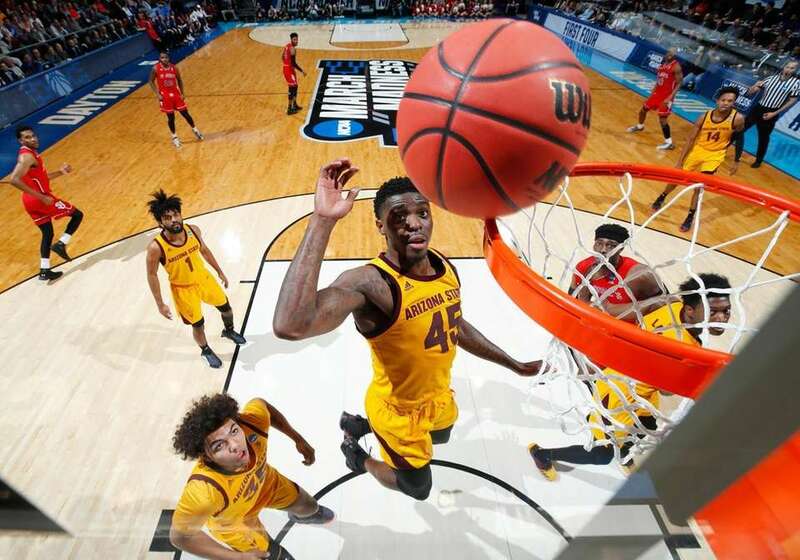 Zylan Cheatham #45 of the Arizona State Sun Devils watches the ball during the first half against the St. John's Red Storm in the First Four of the 2019 NCAA Men's Basketball Tournament at UD Arena on March 20, 2019 in Dayton, Ohio. 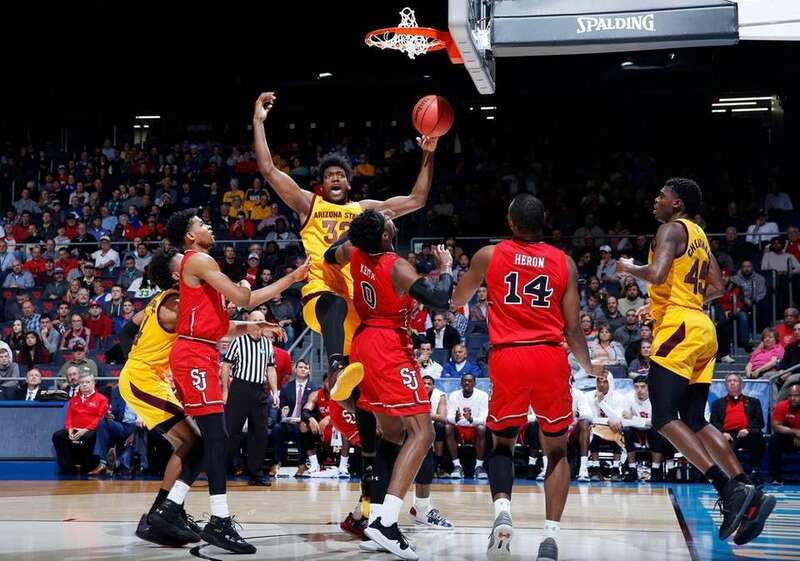 De'Quon Lake #32 of the Arizona State Sun Devils dunks the ball during the first half against the St. John's Red Storm in the First Four of the 2019 NCAA Men's Basketball Tournament at UD Arena on March 20, 2019 in Dayton, Ohio. 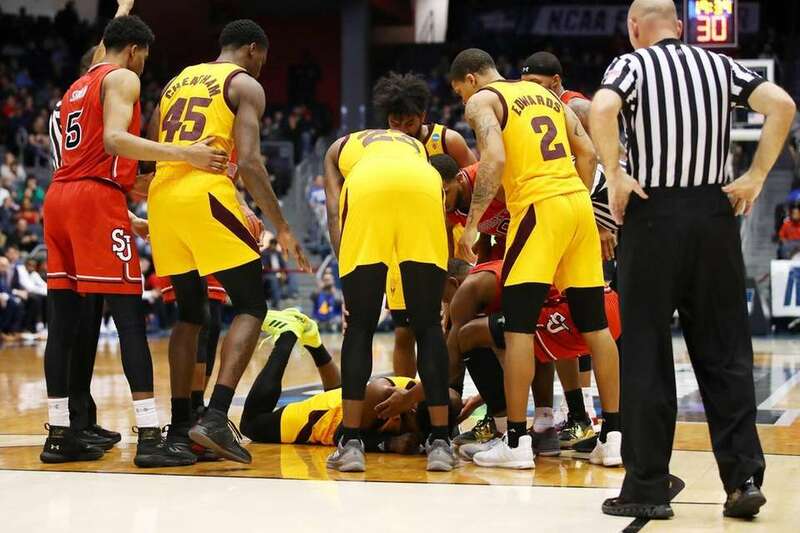 Luguentz Dort #0 of the Arizona State Sun Devils is helped by teammates after falling on the court during the second half against the St. John's Red Storm in the First Four of the 2019 NCAA Men's Basketball Tournament at UD Arena on March 20, 2019 in Dayton, Ohio. 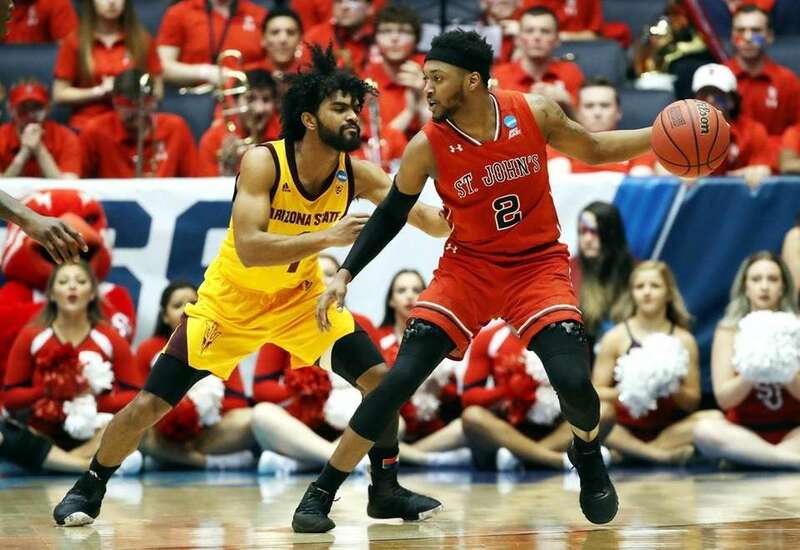 Shamorie Ponds #2 of the St. John's Red Storm drives to the basket during the second half against the Arizona State Sun Devils in the First Four of the 2019 NCAA Men's Basketball Tournament at UD Arena on March 20, 2019 in Dayton, Ohio. 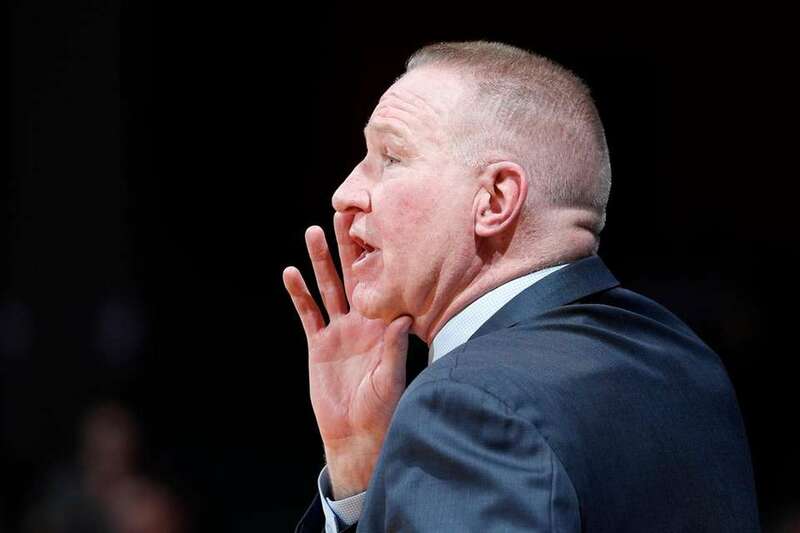 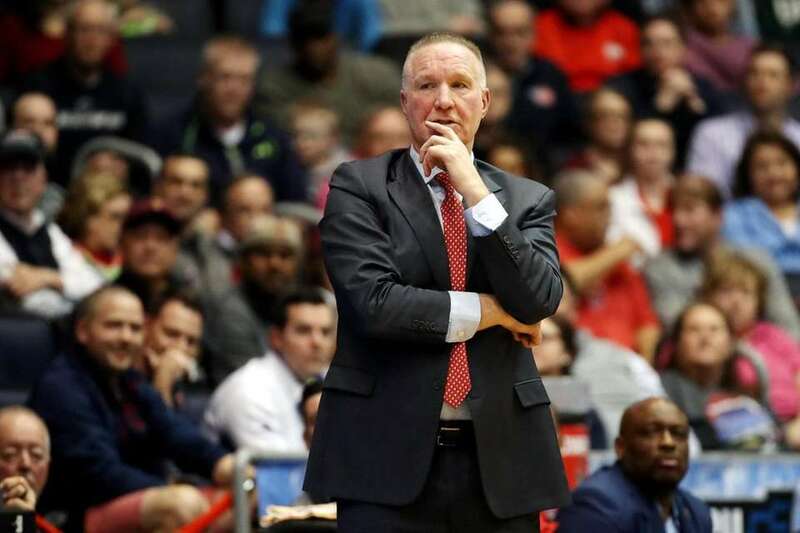 Head coach Chris Mullin of the St. John's Red Storm talks with his team during the game against the Arizona State Sun Devils in the First Four of the 2019 NCAA Men's Basketball Tournament at UD Arena on March 20, 2019 in Dayton, Ohio. 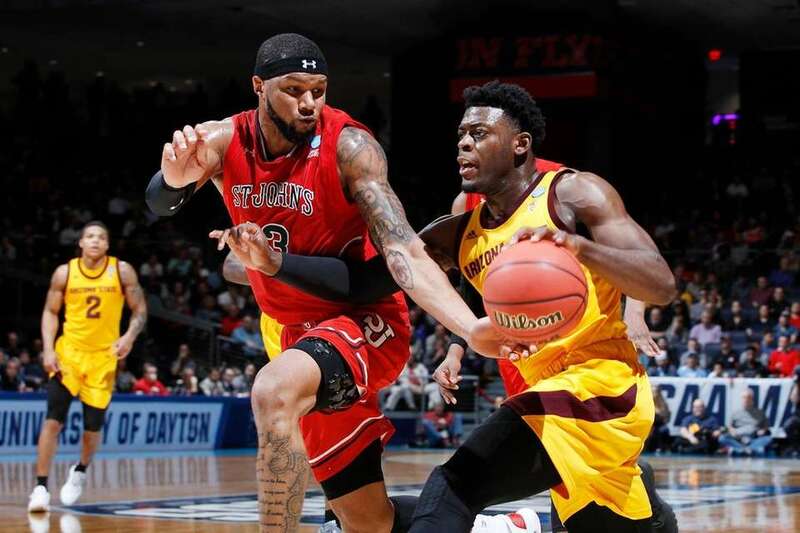 Justin Simon #5 of the St. John's Red Storm handles the ball against Luguentz Dort #0 of the Arizona State Sun Devils during the second half in the First Four of the 2019 NCAA Men's Basketball Tournament at UD Arena on March 20, 2019 in Dayton, Ohio. 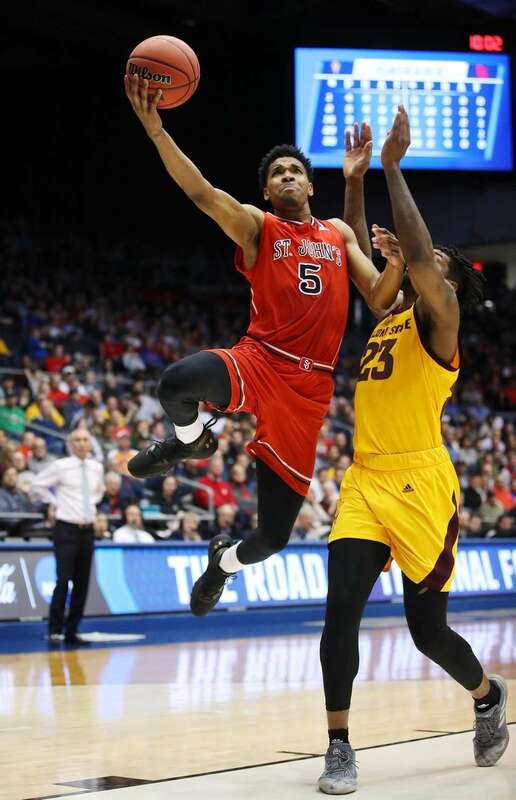 Justin Simon #5 of the St. John's Red Storm reacts during the second half against the Arizona State Sun Devils in the First Four of the 2019 NCAA Men's Basketball Tournament at UD Arena on March 20, 2019 in Dayton, Ohio. 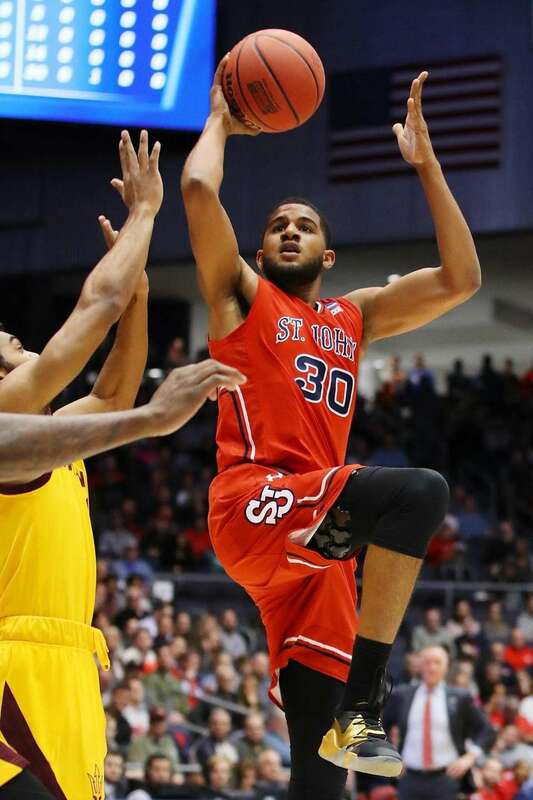 LJ Figueroa #30 of the St. John's Red Storm shoots the ball during the first half against the Arizona State Sun Devils in the First Four of the 2019 NCAA Men's Basketball Tournament at UD Arena on March 20, 2019 in Dayton, Ohio. 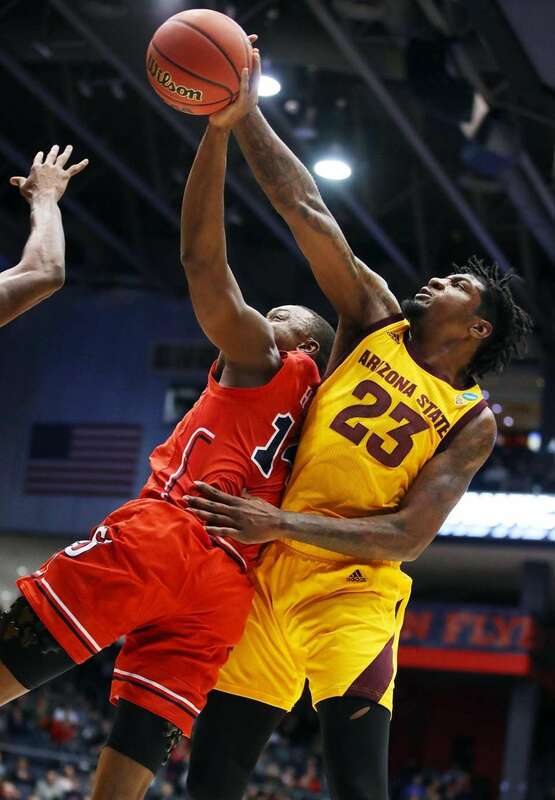 Romello White #23 of the Arizona State Sun Devils blocks a shot by Mustapha Heron #14 of the St. John's Red Storm during the first half in the First Four of the 2019 NCAA Men's Basketball Tournament at UD Arena on March 20, 2019 in Dayton, Ohio. 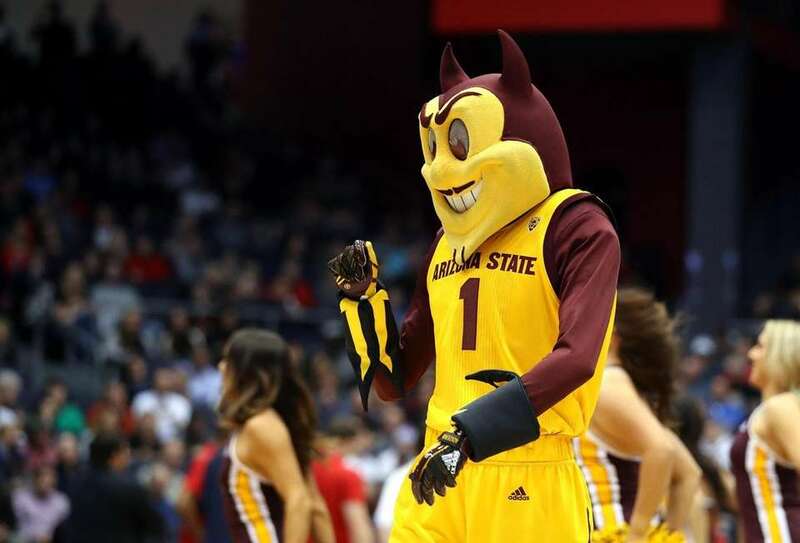 The Arizona State Sun Devils mascot performs during the first half against the St. John's Red Storm in the First Four of the 2019 NCAA Men's Basketball Tournament at UD Arena on March 20, 2019 in Dayton, Ohio. 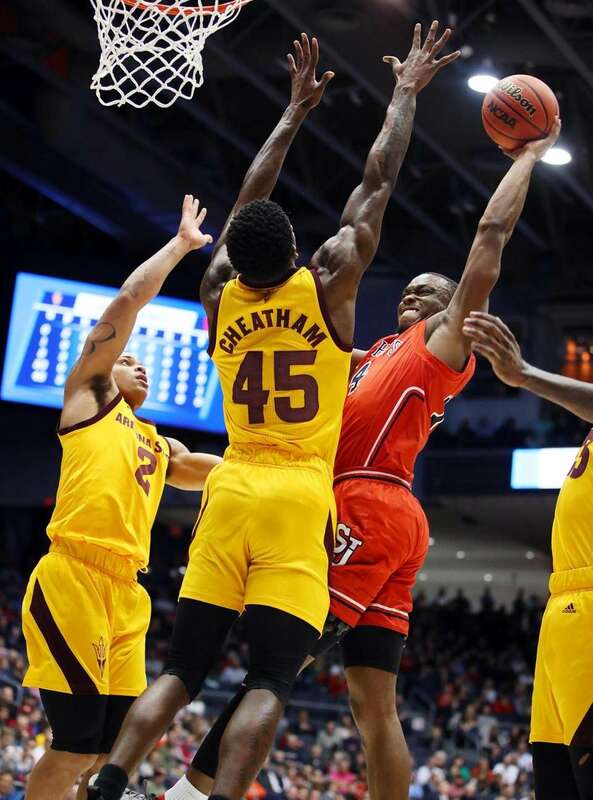 Mustapha Heron #14 of the St. John's Red Storm drives to the basket against Zylan Cheatham #45 of the Arizona State Sun Devils during the first half in the First Four of the 2019 NCAA Men's Basketball Tournament at UD Arena on March 20, 2019 in Dayton, Ohio. 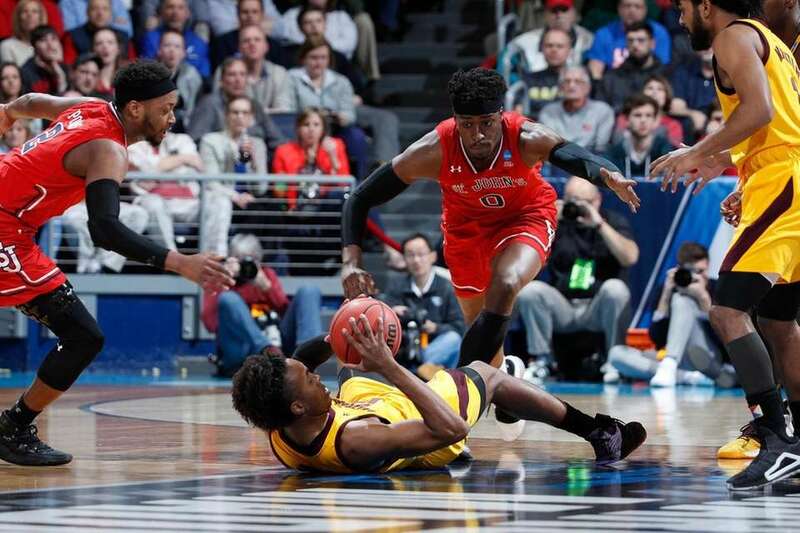 Kimani Lawrence #14 of the Arizona State Sun Devils battles for a loose ball during the first half against the St. John's Red Storm in the First Four of the 2019 NCAA Men's Basketball Tournament at UD Arena on March 20, 2019 in Dayton, Ohio. 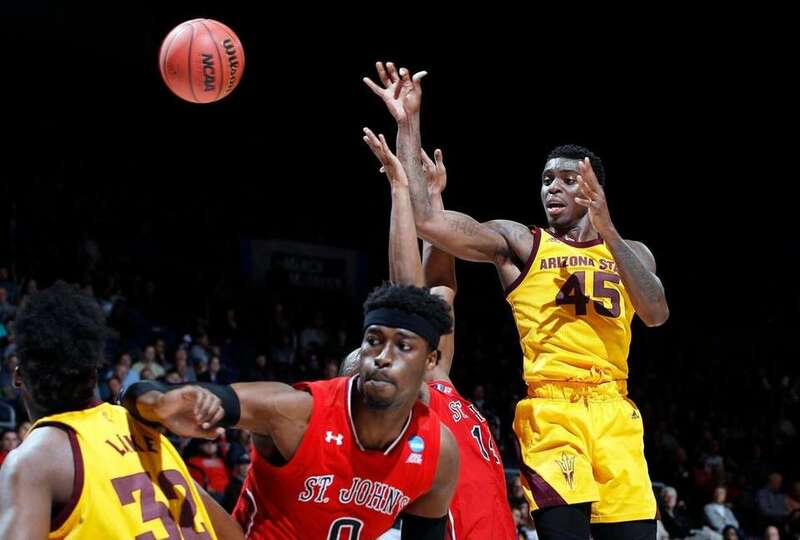 Zylan Cheatham #45 of the Arizona State Sun Devils passes the ball during the first half against the St. John's Red Storm in the First Four of the 2019 NCAA Men's Basketball Tournament at UD Arena on March 20, 2019 in Dayton, Ohio. 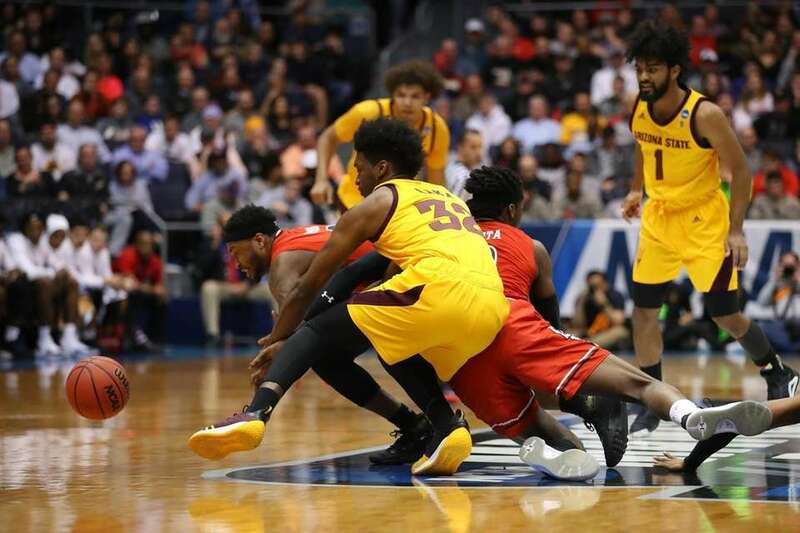 De'Quon Lake #32 of the Arizona State Sun Devils battles for a loose ball during the first half against the St. John's Red Storm in the First Four of the 2019 NCAA Men's Basketball Tournament at UD Arena on March 20, 2019 in Dayton, Ohio.